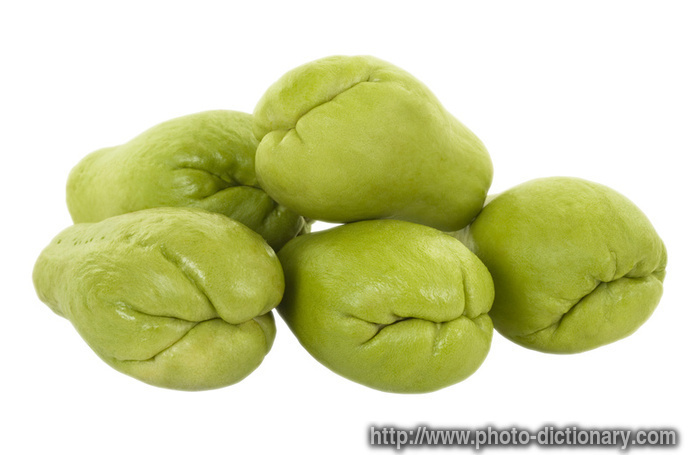 Ah, chayote! What a mysterious fruit! It's a squash (gourd) and tastes a lot like a cucumber. It's flesh is smooth and white like a cucumber's too, but with minimal seeds. This recipe is an adaptation of the this one, Poblano Potato Gratin. The idea of this dish has been haunting me for weeks, but I thought it had WAY too many potatoes and would be too heavy for what we like. Since I had been experimenting with chayote, I decided to create a dish that used both the potatoes and chayote, and it was a total success. The addition of squash was genius, if I do say so myself. Roast chiles on a broiler pan in the broiler, turning with tongs, until skins are blackened all over, about 10 minutes. Immediately transfer to a bowl and let stand, covered tightly, 10 minutes. When chiles are cool enough to handle, peel or rub off skin. Slit chiles lengthwise, then stem, seed, and devein. Cut lengthwise into thin strips. Cook onions with 1 teaspoon salt in oil in a 12-inch heavy skillet over medium-low heat, stirring occasionally, until golden, about 8 minutes. Stir in chiles and remove from heat. Reserve 1/2 cup onions and chilis for topping. Preheat oven to 400°F with rack in middle. Generously butter a 3-quart shallow baking dish. Peel potatoes, then cut crosswise into 1/4 slices. Do the same with the chayote (discard the seeds if there any). Transfer to a small heavy pot. Add half and half, milk, and 1 teaspoon salt and bring just to a boil over medium heat, stirring occasionally (liquid will thicken). (taste it here, and make sure there is enough salt) Stir in onion and chilis, then pour mixture evenly into baking dish. Sprinkle reserved 1/2 cup onion and chilis on top. Bake until potatoes are tender, 45 minutes to 1 hour. Let stand 15 minutes before serving. Serves 6 generously, but we ate it as a main dish. Probably 8 to 10 for a side.